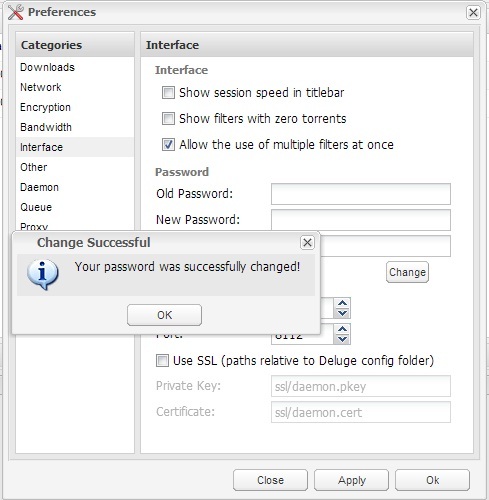 Using your Deluge webUI access URL – http://seedboxIP:8112/ given in the welcome email, paste into your browser and a login window will be displayed. Provide the default password and proceed with clicking Login. 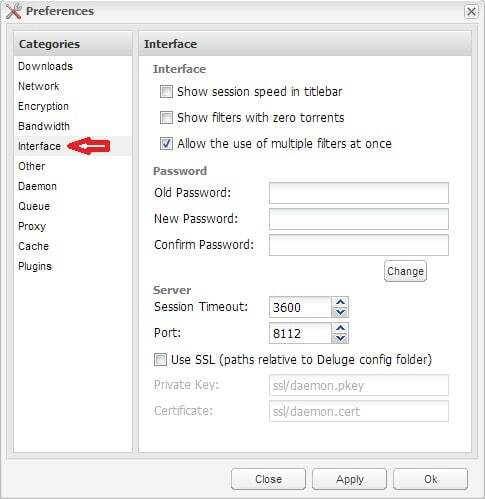 On the WebUI console, choose “Preferences” , then “Interface”on the next splash screen. Congrats! you have just updated Deluge webUI password.